Kwesi Nyantakyi has finally resigned as the Ghana Football Association President after he was captured in Tigre Eye’s (investigative firm owned by Anas Aremeyaw Anas) latest documentary titled ‘Number 12. The documentary which is about corruption in Ghana Football was aired last Wednesday at the Accra International Conference Center and top Ghana FA officials and referees were captured taking bribes to influence games. In the video, Nyantakyi was seen extorting monies from potential investors (undercover people) by using the name of President Akufo-Addo and the vice-President Mahamadu Bawumia. After the video was aired, the Government released a statement on Thursday indicating that they will take steps to dissolve Ghana Football. On Friday, FIFA handed Nyantakyi a three-month ban. Following the developments, the 49 year-old legal practitioner in resigning as the Ghana FA boss apologized to Akufo-Addo but labled Anas’ Tigre Eye Firm as scammers. “After a meeting of the Executive Committee this afternoon I decided to resign as President of the Ghana Football Association”. “I wish to apologise to my family, work colleagues, friends, associates and the people of Ghana for the disappointment my indiscretion has caused them.This by no means is an admission of any other alleged wrong doing in the video”, Mr. Nyantakyi said in a statement sent to the GFA General Secretary on Friday. 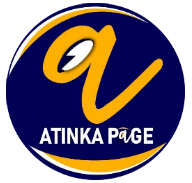 AtinkaNews.net is Ghana’s online news and entertainment platform of new generation that delivers most original content to readers in Ghana and Global AtinkaNews.net delivers entertaining contents, ranging from celebrity gossip, lifestyle buzz , Viral Content, and Latest News.